I’m so excited to share this recipe with all you beautiful people. I’ve been dying to try and experiment adding some favours and create a spin off version of our original Raw Almond Coconut Yogurt. See, the great thing about making your own vegan yogurt is that you can blend in whatever flavors you feel like and the best part… it has no chemicals, no dairy and no added sugars. 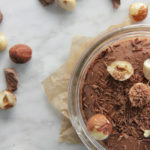 Chocolate and hazelnut use to be one of my favorite combinations when I was a kid, so I decided to give it a try here. I have to say that I was pretty proud of the outcome. This smooth, thick, dairy-free yogurt really showcases the two flavors. It has a deliciously creamy texture without feeling too heavy. Of course, the one thing that makes making home made yogurt like this one a breeze is a high speed blender. You might already know just how much Nikki and I love our Vitamix. It is hands down our favourite and most utilized appliance that definitely gets used multiple times per day. Having a smooth, creamy base made of soaked nuts and coconut meat is the very key to achieving creamy consistency in any raw vegan yogurt and our Vitamix is more than up for the challenge. We have already finished this batch (it just took a couple of days) so seeing these pictures gives me the biggest craving. I thing it’s time to get a new batch going! 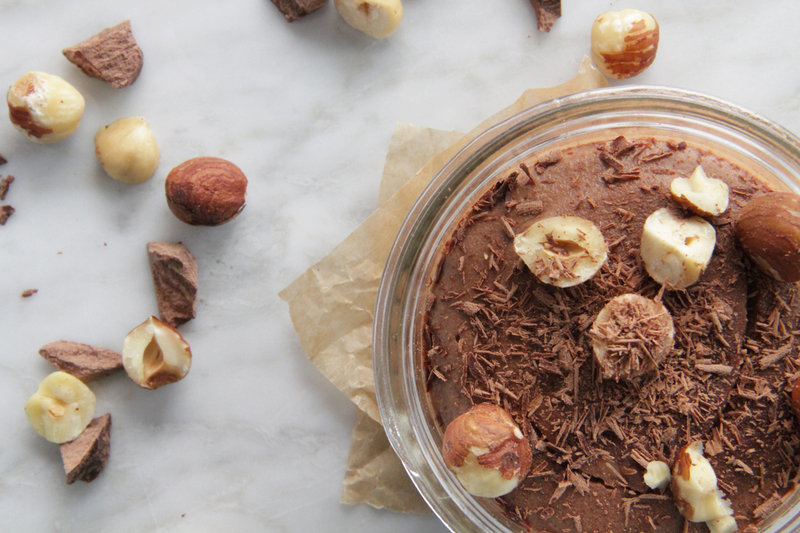 First, make sure you soak raw hazelnuts in water for 24 hours. Soaking the nuts is crucial as this will activate the dormant enzymes and release the nutrients. After the 24 hour period is over, strain and discard the water and wash the nuts well. 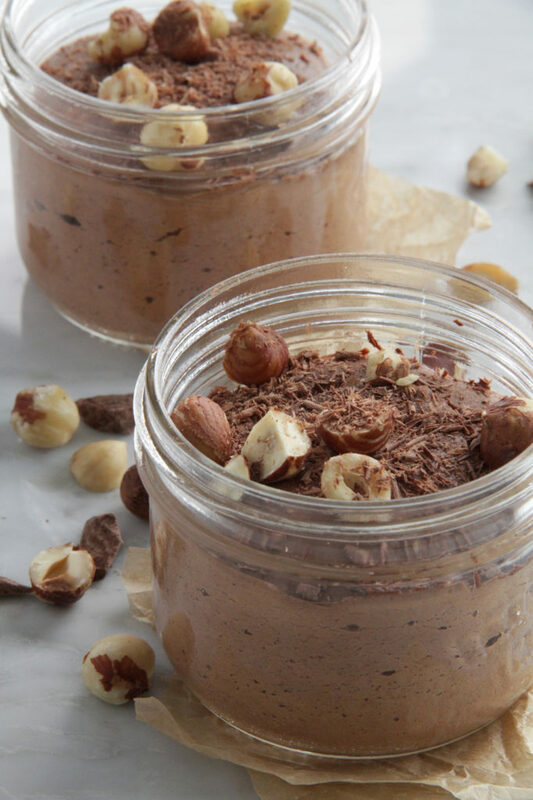 Add cleaned hazelnut, young coconut meat (from 2 coconuts), coconut water (from 1 coconut), cacao powder, dates and probiotics to the vitamix or another high speed blender. Blend on medium/high for 3-4 min, until it reaches nice smooth creamy consistency. Transfer the mixture into a large glass jar and cover with a clean towel, tea towel or muslin cloth, secured with elastic band. Keep in a warm place ( we put ours on a countertop or inside a kitchen cupbbert) for 12-24 hours, depending on how tangy you want it and also on the temperature it's stored in. It will be ready when the mixture looks little foamy and little air pockets start to appear. The smell should be strong but pleasant. When the yoghurt has fermented. Give it a good stir (using wooden spoon). Keep in the fridge for up to 1 week.